Your immune system is incredible. It knows how to prevent you from getting sick with a cold or flu, it also knows how to treat it. 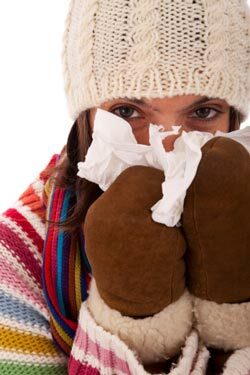 Your immune system expels the viruses and irritants that are making you sick through fever, sneezing, coughing and other symptoms. That’s the cure! The problem is that many people think that these symptoms are the disease and take medications to suppress them. This interferes with the cure and actually keeps you sick longer. 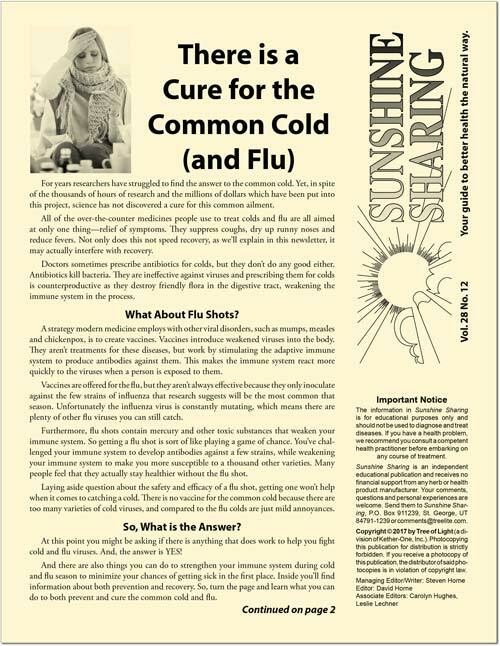 In this issue of Sunshine Sharing, learn how to work with, not against your immune system, to both prevent colds and flu and recover more quickly from them. A newsletter is a great tool to help educate yourself and your people on how be healthy naturally. But you don't need to write your own newsletter, let Steven Horne do it for you. Each issue of Sunshine Sharing contains easy to read information that will help you understand various health issues and what you can do to support the body's natural healing abilities. Sunshine Sharing is available as a 4-page newsletter in bundles of 25. They are available to subscribers of Steven Horne's member program for $6 a bundle and $10 for everyone else. They include space for information about yourself and your business. Sunshine Sharing is also available as a PDF that you can email, print and share online. Each issue is customized with your information so no matter how much it is shared it will always link back to you. If you'd like to set up an automatic subscription for printed or electronic Sunshine Sharing please call us at 1-800-416-2887.